The UPS Store Florence in Florence, SC does much more than shipping. We are your neighborhood one stop shop for a variety of products and services to help manage running your your small business or personal life. We're conveniently located and here to help. The UPS Store Florence is locally owned and operated in Florence, SC and part of the neighborhood. We offer a range of products and services designed specifically to help and support small business owners and individuals in the local community. We're more than packing and shipping. We provide printing services, a real street address for mailboxes, package notification and even direct mail services (design, print, mail) as well as notary, faxing and document shredding. We are committed to doing everything we can to help small businesses and individuals reach their goals. Our breadth of products and services and our do-whatever-it-takes attitude are ready to help. 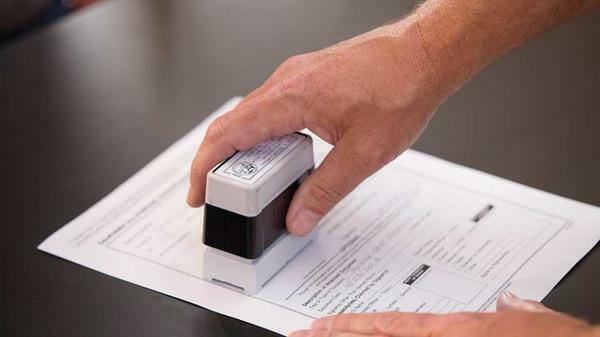 The UPS Store Florence in Florence, SC has a professional licensed Notary on staff ready to help you get those documents signed at your convenience. 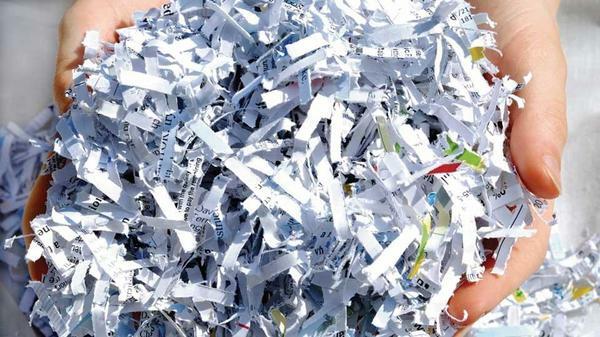 Help protect you business and identity with document shredding services from The UPS Store Florence in Florence, SC. We're located nearby. 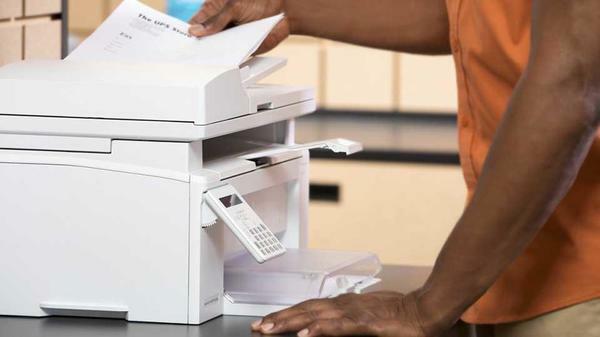 Did you know that The UPS Store Florence in Florence, SC can send and receive faxes for you? Our fax machines are always on. Let us know how we can help. We want to make it as easy and convenient for our regular small business customers to conduct their business. Apply for a House Account at The UPS Store Florence in Florence, SC. Limit one coupon per customer. Not valid with other offers. Restrictions apply. Valid and redeemable only when presented at The UPS Store located at 2023 S Irby St. The UPS Store centers are independently owned and operated. © 2018 The UPS Store, Inc.
Sign up for insider access to The UPS Store® news and special offers and you’ll save 15% on your next online print order. Didn't find what you were looking for or want to see our other offerings? Copyright © 1994-2018. The UPS Store, Inc. is a UPS® company. The UPS Store® (TUPSS™) locations are independently owned and operated by franchisees of The UPS Store, Inc. in the USA and by its master licensee and its franchisees in Canada. All employees working at the local The UPS Store center, including the notary, are employees of the franchisee, and not The UPS Store, Inc. This is a website of an independently owned and operated franchise location of The UPS Store®. The UPS Store, Inc. ("TUPSS"), operates through a franchise model of business, which means that, except in certain limited instances, center locations are individually owned and operated by franchisees. This privacy notice ("Notice") describes the practices related to information collected by the individual The UPS Store entity South Florence Franchise Systems, LLC (referred to in this Notice as "Franchisee", "our", and "we") from visitors to this website ("Website"). This Notice only applies to information collected on our Website(s). This Notice does not describe the information collection practices of The UPS Store, Inc., United Parcel Service, Inc. ("UPS"), or any of its subsidiaries or affiliates, or any other The UPS Store franchisee. We are sensitive to the privacy concerns of visitors to our Website(s), and we understand that you may have questions about how we collect and use information that you provide to us through our Website(s). Please take a minute to read this Notice so that you can better understand our Website information practices. If you have questions about this Notice, please contact us as described below. If you have questions about the privacy practices of TUPSS, any of its subsidiaries or affiliates, or any other The UPS Store franchisee, please consult the privacy notice for the appropriate entity for further information. Personal information is information that identifies you or relates to and is identifiable to you. We collect personal information, such as name, email, phone number and other personal information you submit or that we request, through our Website(s) when you complete any online form, application, survey or request for information available on our Website(s). Therefore, if you do not wish for us to obtain your personal information, please do not submit it to us. However, please be aware that if you choose not to provide us with certain personal information, we may not be able to provide you with the services or information that you requested. We use information that you provide to us through our Website(s) in order to provide you with specific services that you request, to respond to your inquiries and requests for information, to provide you information, including marketing communications, about additional services that may be of interest to you, to process registration for events offered via the Website, to provide online promotions, sweepstakes and surveys, to offer you products and services we believe may interest you, to improve our services and our Website(s) and tailor them to your preferences, to maintain the security and integrity of our systems, to comply with legal and regulatory requirements, industry standards or guidelines, and our and TUPSS’ policies to provide information to you about TUPSS, to provide you with package tracking features, to help prevent fraud, unauthorized or criminal activity, claims and other liabilities perform data analysis, including market and consumer research, financial analysis, and to measure the effectiveness of our advertising efforts online and otherwise. When you visit our Website(s), certain information about your visit may be automatically logged by us or our third party service providers, such as Google Analytics, to provide us with information about how visitors to our Website(s) interact with those sites. This information is collected anonymously, reports website trends without identifying individual visitors, and may include your IP address, which is the number assigned to your computer whenever it is connected to the Internet, your operating system, screen settings, Web browser software, referring website, and certain demographic information about you. Generally, we use this information for system improvement and administration, security, statistical analysis purposes, and other internal business purposes. Neither we nor any third parties operating on our Website(s) collect personal information about your online activities over time and across different websites. Our Website(s) is not designed to respond to “do not track” signals from browsers. We may also anonymize personal information you submit through the Website(s) by cleansing it of any information which might allow you to be identified or contacted, and combine this non-personally identifiable information with that of other visitors to the site. We use this information for internal business purposes, such as analysis and planning by our marketing and customer service departments. If we own more than one center location, we may share personal information you provide on the Website for one center location we own among other center locations we own, including center locations with operating companies under common ownership. We may disclose personal information with third parties who perform functions on our behalf, including to assist us in processing that information. Those third parties are required to use the information shared with them in a manner that is consistent with this Notice and are restricted from using the information for any purpose other than those authorized by us. We may also disclose personal information in order to comply with laws or legal process, including subpoenas or agency orders and investigations which we determine are required under appropriate circumstances, and as we reasonably determine necessary or appropriate to protect property, our rights, TUPSS' rights, or the rights of others. We may share non-personally identifiable information, including anonymized data derived from personal information collected from our Website(s), with third parties, including TUPSS and The UPS Store franchisees, and may otherwise disclose non-personally identifiable information as permitted by law. We may transfer information covered by this Notice, including Personal Information, in connection with a merger or sale (including transfers made as part of insolvency or bankruptcy proceedings) of all or part of our business or as part of a corporate reorganization, stock sale or other change in control. If at any time you wish to access the personal information we hold about you in order to update, modify, or if you wish to receive no further promotional communications from us, please contact us at the address or phone number listed on the homepage of this Website. We also note that you may still receive service oriented, non-promotional communications from us and promotional communications from TUPSS, UPS, The UPS Store franchisees or other third parties as a result of your interactions or transactions with those third parties. To the extent required by applicable law, California residents may ask us to provide them with (i) a list of certain categories of personal information that we have disclosed to third parties for their direct marketing purposes during the immediately preceding calendar year, and (ii) the identity of those third parties. To make this request, California residents may contact us as at store6846@theupsstore.com. To contact us regarding this Notice, please use the contact information located on the home page of this Website. As explained above, each center location is independently owned and operated. Please note that contacting us is not the same as contacting TUPSS, UPS or any other The UPS Store franchisee for purposes of information about privacy practices or opting out of promotional communications. We maintain administrative, technical and physical safeguards intended to protect against the loss, misuse, unauthorized access, or disclosure of personal information. Although we take such precautions seriously, it is impossible for us or others to guarantee the safety and security of personal information and we are not responsible for unauthorized access to such information by hackers or others who have obtained such access through illegal measures. We reserve the right to amend or modify this Notice from time to time to reflect relevant changes in our information practices. Any significant revisions will be noted on our Website(s). We will also provide additional information or notice regarding changes to this Notice as may be required by law. 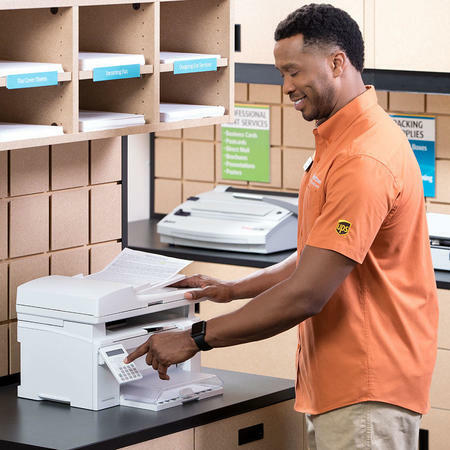 Welcome to the website of The UPS Store South Florence Franchise Systems, LLC, a The UPS Store center location independently owned and operated by South Florence Franchise Systems, LLC. This Website is provided by, or on behalf of South Florence Franchise Systems, LLC. This Website may be accessed from various locations both within and outside the United States of America (“USA”). Access to and use of the Website, including functionality and features and products and services available through the Website, may be inappropriate, prohibited or restricted in certain jurisdictions outside of the USA. In addition, certain functionality and features and products and services available through the Website may not be available in jurisdictions outside the USA. We make no representations or warranties that the Website is appropriate or available for use outside of the USA. If you access or use the Website from outside the USA, you do so at your own risk and are responsible for complying with the laws and regulations of the territory from which you access and use the Website. This is a general audience website and users of all ages are welcome to browse the Website. However, if you are under the age of legal majority to form a legally binding agreement under applicable law, you should not use any of the products or services offered on the Website, download any Materials or Software, or provide any information about yourself through the Website. The Website Privacy Notice for The UPS Store center South Florence Franchise Systems, LLC posted on this Website governs the use and disclosure of personal information collected from or provided by you at the Website. BIG OR SMALL WE SHIP IT ALL; MAKING BUSINESS EASIER; PACK & SHIP GUARANTEE; THE UPS STORE; THE UPS STORE CERTIFIED PACKING EXPERTS; TOTALSHIPPING; WE DO MORE THAN SHIPPING. In order to use certain portions of the Website, you may be required to open an account or download certain software from this Website ("Software"). Your use of an account or any Software is subject to the terms and conditions and license terms that accompany or are provided with the account registration or Software. By opening an account or downloading any Software, you agree to comply with those terms and conditions and license terms. Some Software or Materials available from this Website may be subject to export controls imposed by the United States. You agree to comply with all such applicable restrictions and not to export or re-export the Materials or any Software to countries or persons prohibited under the United States or other applicable export control laws or regulations. If you download or use the Materials or Software, you represent and warrant that you are not located in, or under the control of, or a national of any such country where such export is prohibited or are not a person or entity to which such export is prohibited. You are solely responsible for compliance with the laws of your local jurisdiction and any other applicable laws regarding the import, export or re-export of the Materials or any Software. Any materials, information, suggestions, ideas, inventions, designs, know-how, concepts, techniques or other communications you transmit through or post to this Website by any means, including, without limitation, through electronic mail will be considered non-confidential and non-proprietary ("Communications"). You acknowledge you are responsible for whatever Communications you submit and you have full responsibility for the message, including its legality, reliability, appropriateness, originality and copyright. We, TUPSS and our designees will be free to copy, disclose, distribute, incorporate and otherwise use the Communications and all data, text, images, sounds, and other things embodied therein for any and all commercial or non-commercial purposes without acknowledgement or compensation to you or any other person sending the Communications. You are prohibited from posting or transmitting to or from this Website any unlawful, threatening, libelous, defamatory, obscene, pornographic, or other material that would violate any law. The UPS Store locations locations are independently owned and operated by franchisees of TUPSS in the USA. TUPSS, its parent and affiliated entities are not responsible for the acts or omissions of any The UPS Store franchise location or for any obligations to you that are incurred by any such franchise location. The products and services, promotions, special offers, prices, and hours of operations provided at each location may vary by location. Please check with each local store location for details regarding that store location. Information published at this Website may refer to products, programs, or services that are not available at all The UPS Store locations or available through this Website in your geographical location. Some of the promotional items, premiums, and prices may only be available in certain areas or at certain locations and terms and restrictions may apply. The Materials at this Website may be out of date, and we make no commitment to update the Materials at this Website. Coupons, discounts and special offers may be subject to restrictions and expiration dates. From time to time, sweepstakes promotions, contests and surveys may be offered on or through this Website. Participation in such promotions is subject to additional terms and conditions and official rules posted at the time of the promotion. Participation in any such promotion is at your discretion and you should carefully review all applicable terms and conditions and official rules prior to participating in the promotion. Must link to, but not replicate, our content. Should not create a browser or border environment around our content. Should not imply that we or TUPSS is endorsing it or its products. Should not misrepresent its relationship with us or TUPSS. Should not present false information about our products or services. Should not use the TUPSS logo without express written permission. Should not contain content that could be construed as distasteful, offensive or controversial, and should contain only content that is appropriate for all age groups. THE WEBSITE AND ALL FEATURES, FUNCTIONALITY, MATERIALS AND SOFTWARE PROVIDED AT THIS WEBSITE ARE PROVIDED "AS IS" WITHOUT ANY WARRANTIES OF ANY KIND, EXPRESS OR IMPLIED, INCLUDING WARRANTIES OF MERCHANTABILITY, FITNESS FOR A PARTICULAR PURPOSE, OR NON-INFRINGEMENT OF INTELLECTUAL PROPERTY, AND ALL SUCH WARRANTIES ARE HEREBY DISCLAIMED TO THE FULLEST EXTENT PERMITTED BY LAW. In addition, neither we nor TUPSS warrants the accuracy and completeness of the Materials at this Website, nor does it warrant that the Software, features or functionality of this Website or as contained in the Materials will be uninterrupted or error-free, that defects will be corrected, or that this Website or the server that makes it available are free of viruses or other harmful components. Applicable law may not allow the exclusion of implied warranties, so the above exclusion may not apply to you. None of the communications made through this Website should be construed as an offer to sell or the solicitation of an offer to buy any The UPS Store franchise in, nor is any such communication directed to the residents of, any jurisdiction requiring registration of the franchise before it is offered and sold in that jurisdiction. No The UPS Store franchises will be sold to any resident of or, if applicable, for operation in, any such jurisdiction until the offering has been exempted from the requirements of, or duly registered in and declared effective by, such jurisdiction and the required Franchise Disclosure Document (if any) has been delivered to the prospective franchisee before the sale in compliance with applicable law. If you have any questions concerning the registration status of The UPS Store franchises in your jurisdiction, please contact the TUPSS Legal Department at (858) 455-8800.
your use of the website is at your own risk. to the extent permitted by applicable law, in no event will tupss, its parent or affiliate entities, its suppliers, franchisees or other third parties mentioned at this website be liable for any direct or indirect damages whatsoever, or any special, punitive, consequential or other damages (including, without limitation, those resulting from lost profits, lost data or business interruption) arising out of the use, inability to use, or the results of use of this website, any websites linked to this site, or the materials, software, features, products, services or information contained at any or all such websites, whether based on warranty, contract, tort or any other legal theory and whether or not advised of the possibility of such damages. if your use of the materials, software, features, products, services or information from this website results in the need for servicing, repair or correction of equipment or data, you assume all costs thereof. applicable law may not allow the exclusion or limitation of incidental or consequential damages, so the above limitation or exclusion may not apply to you. When you visit the Website or send emails to us, you are communicating with us electronically. You consent to receive communications from us electronically. We may communicate with you by email or by posting notices on the Website. You agree that all agreements, notices, disclosures, and other communications that we provide to you electronically satisfy any legal requirement that such communications be in writing. If you have questions or comments regarding this Website, please contact us using the information listed on the homepage of this Website.